Dimensions: 3 3/4" x 3" x 1 1/4"
Notes: This is a Crowley Ridge agate from Arkansas. 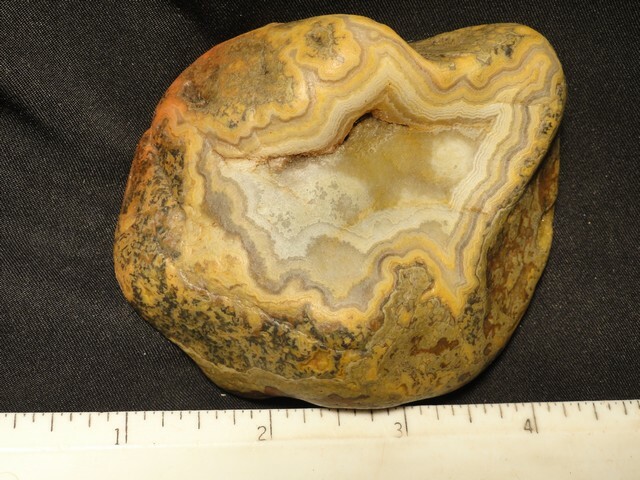 It has not been cut or polished but has been oiled in the same way Lake Superior agates are oiled. Dimensions: 4 1/4" x 2" x 1 1/8"
Dimensions: 4 1/4" x 2 1/2" x 2"
Notes: This is a Crowley Ridge agate from Arkansas. 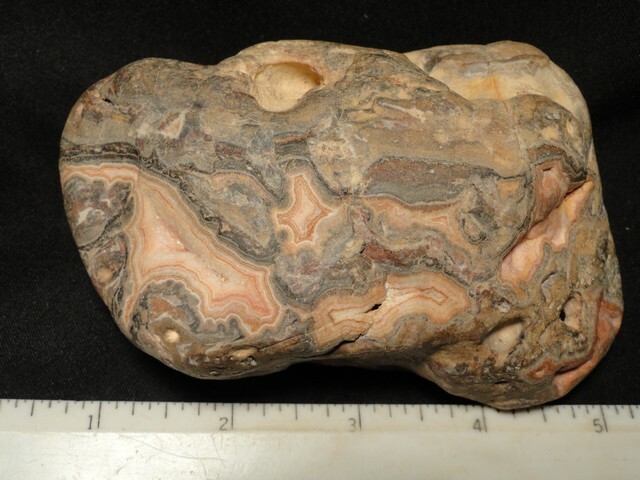 It has not been cut or polished but has been oiled in the same way Lake Superior agates are oiled. This is a large agate! 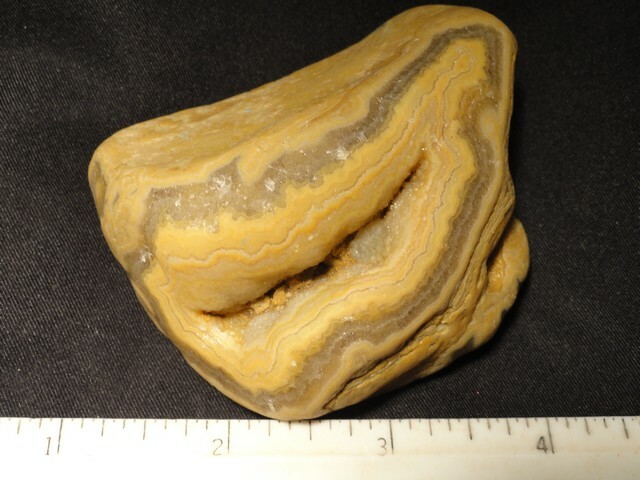 Notes: This is a Crowley Ridge agate from Arkansas. It has not been cut or polished but has been oiled in the same way Lake Superior agates are oiled. This has a most attractive agate shotgun pattern.